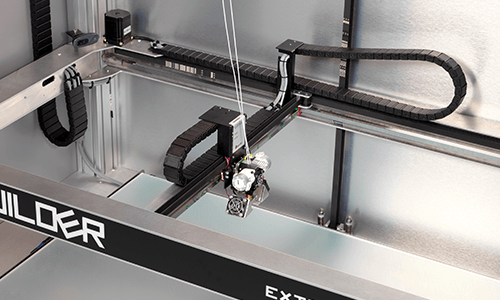 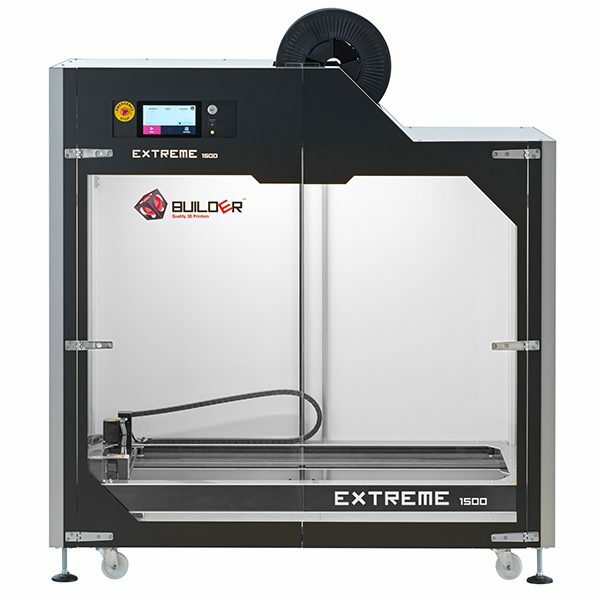 The Builder Extreme 1500 PRO has a rare size for a large format 3D printer, but the size makes it the perfect large scale 3D printer for every office. 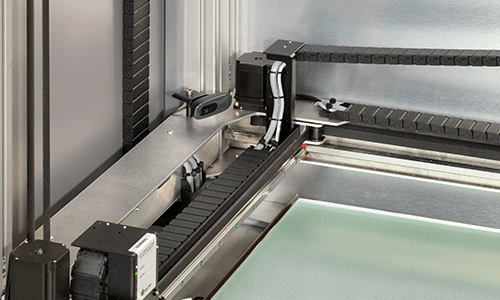 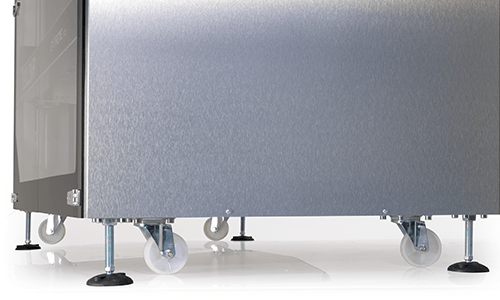 The wheels make it easy to move the printer to another department or to manoeuvre it into the smallest corners. 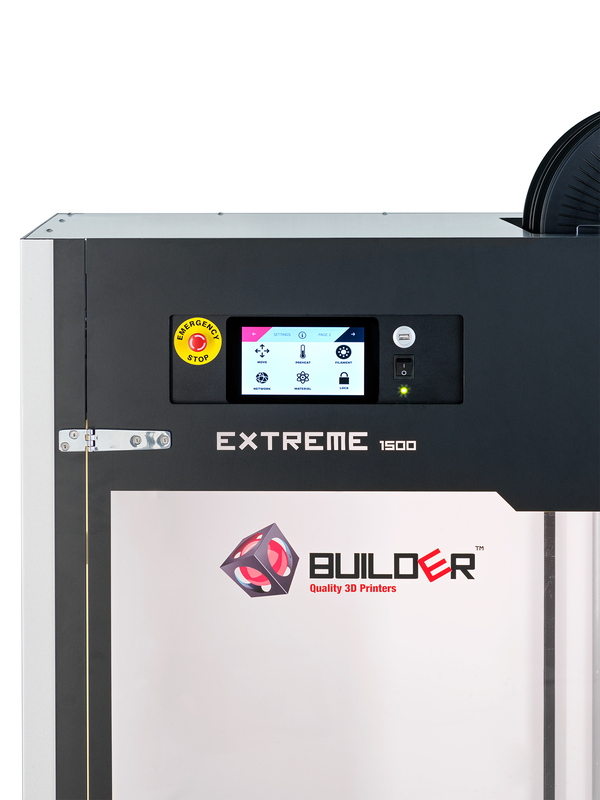 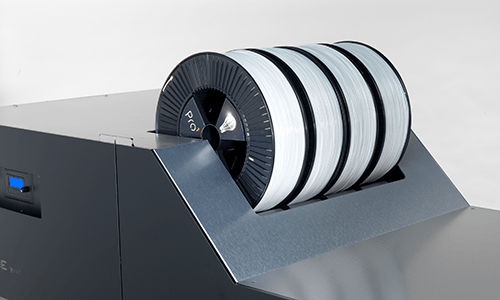 The print volume of the Extreme 1500 PRO is 1100x500x820 mm (XYZ) and comes with features such as a 7 inch touch display, filament detection, a ups system – resume after power outage and more. 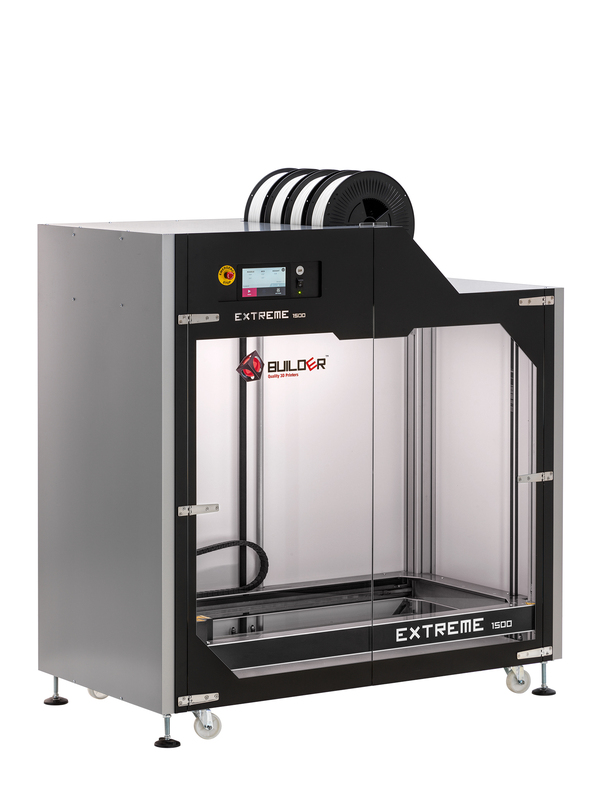 The accessory kit, which is included, includes a 0.4, 0.8 and a 1.2 mm nozzle, tools for maintenance and more.